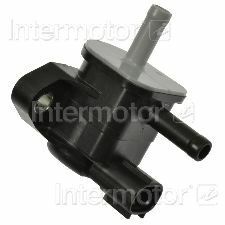 We stock Vapor Canister Vent Solenoid parts for most Scion models, including iQ. Each canister vent solenoid is a direct fit replacement that replaces OE damaged units to prevent any unused fuel vapors in the fuel tank from escaping into the atmosphere. The canister vent solenoid is constructed with high grade industrial plastic withstanding low and high heat engine operating temperatures, along with a prolonged life and superior performance. Each canister vent solenoid uses OE quality connectors and terminals to ensure a perfect fit connection to the engine wire harness, providing a peak conductivity leading to optimal performance. Precisely machined cut mounting slot matching OE specifications to provide a faster and easier bracket installation.